This appendix inside-the-waistband holster is available for the SIG Sauer® P320, XSeries, P365, P320, P226, P229 and P228. 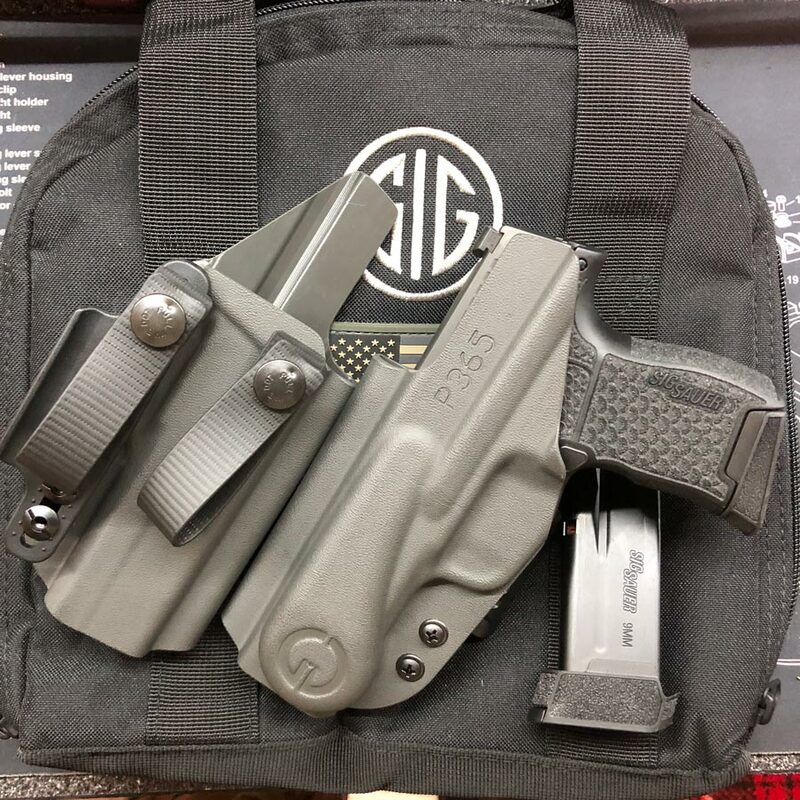 Custom holster from Grayguns for those looking for a high-quality, custom-designed Kydex® appendix inside-the-waistband holster. This custom-designed holster a collaboration between PHLster Holster, Henry Holsters and Mike Grasso from Grayguns. Please read our return policy, which applies to holsters just like any other product. 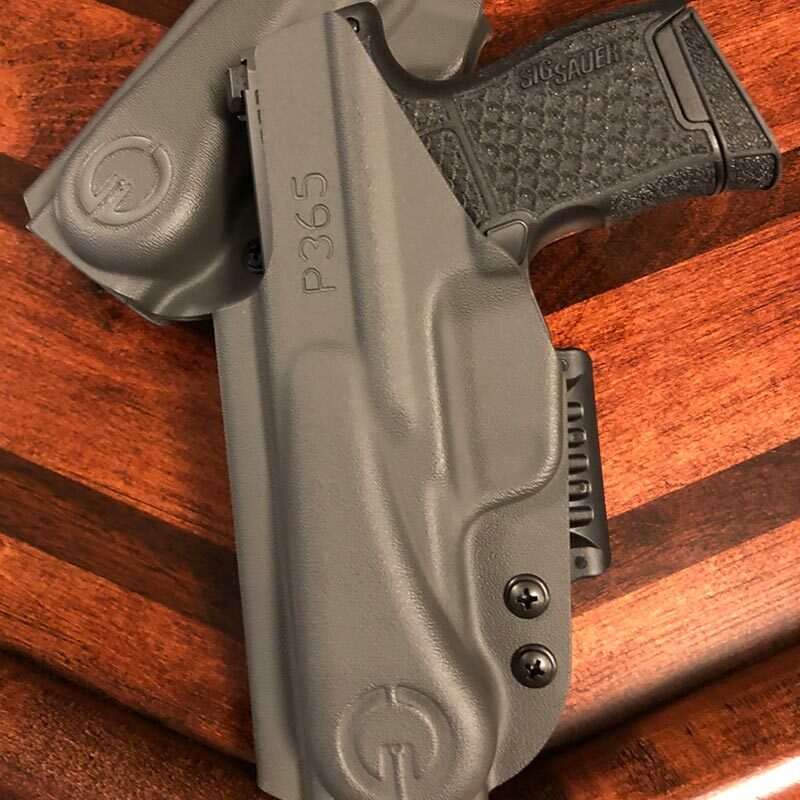 The Grayguns Custom Appendix Inside-the-Waistband Holster is a collaboration between PHLster Holster, Henry Holsters and our own law enforcement director, Mike Grasso (LAPD). 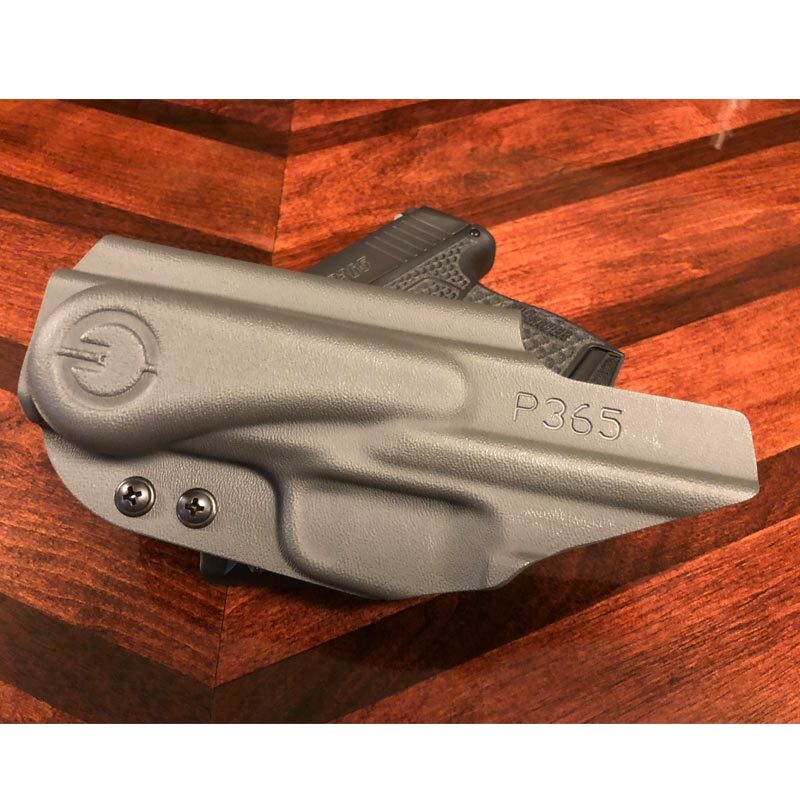 The holster utilizes a PHLster wedge to orientate the grip of the weapon closer to your body which reduces printing and its slightly longer length reduces the chance of the holster flipping over your belt. Designed with two soft loops that can removed or reoriented if needed. 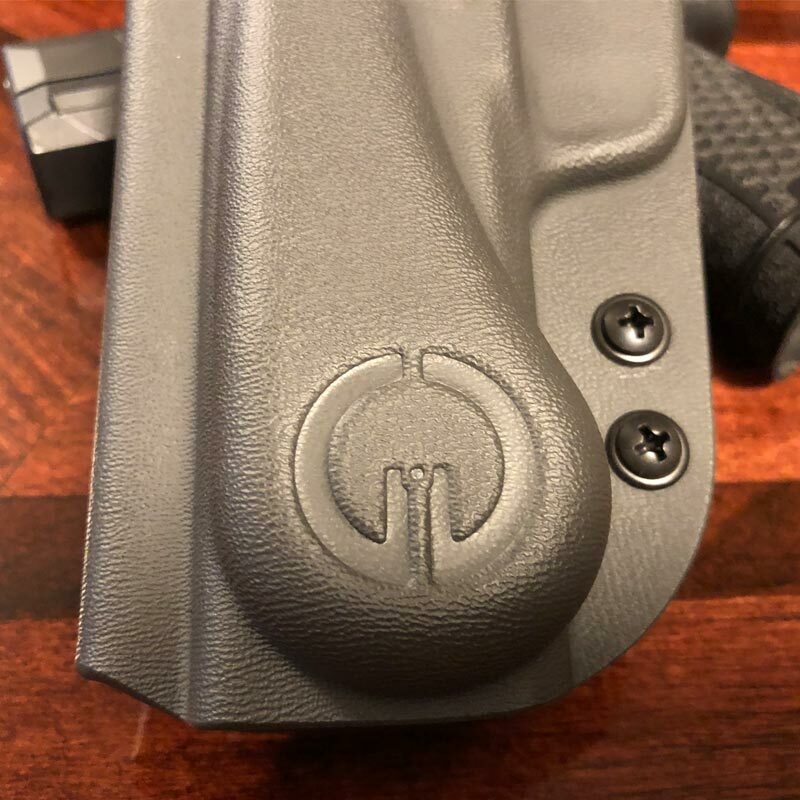 Molded in a Grayguns gray finish and hot stamped with our logo! Available for the SIG Sauer P365, P320, P226, P229 & P228. 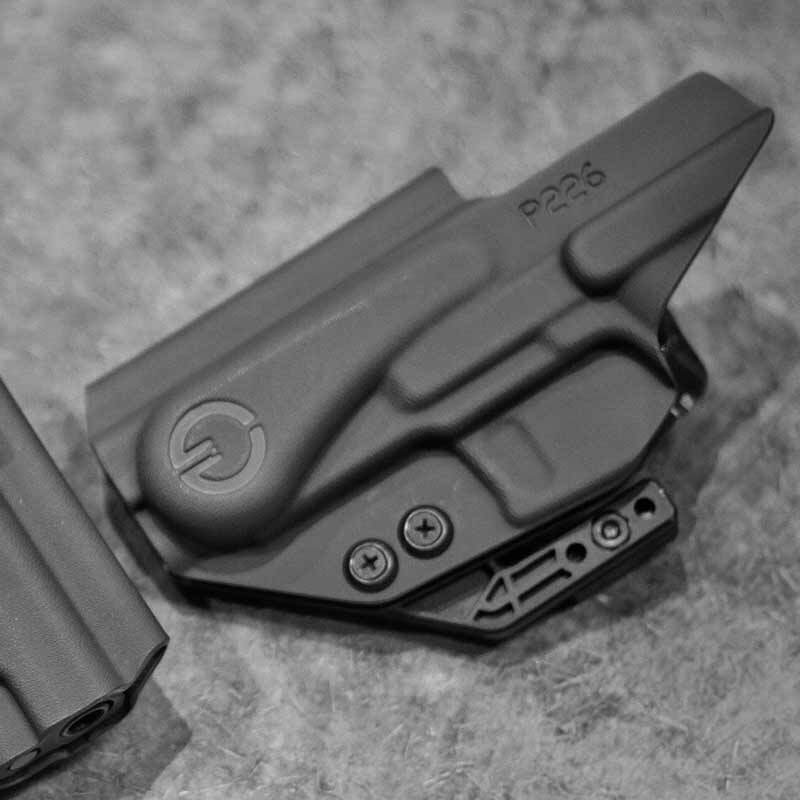 Our P320 holster fits all variations of the P320, including the X-Five and those chambered in .45 ACP. They also fit both versions of the takedown lever and will fit models with and without the manual safety. Due to the nature of Kydex holsters, we are unable to accept returns. Ordered for my 320 X-Carry. 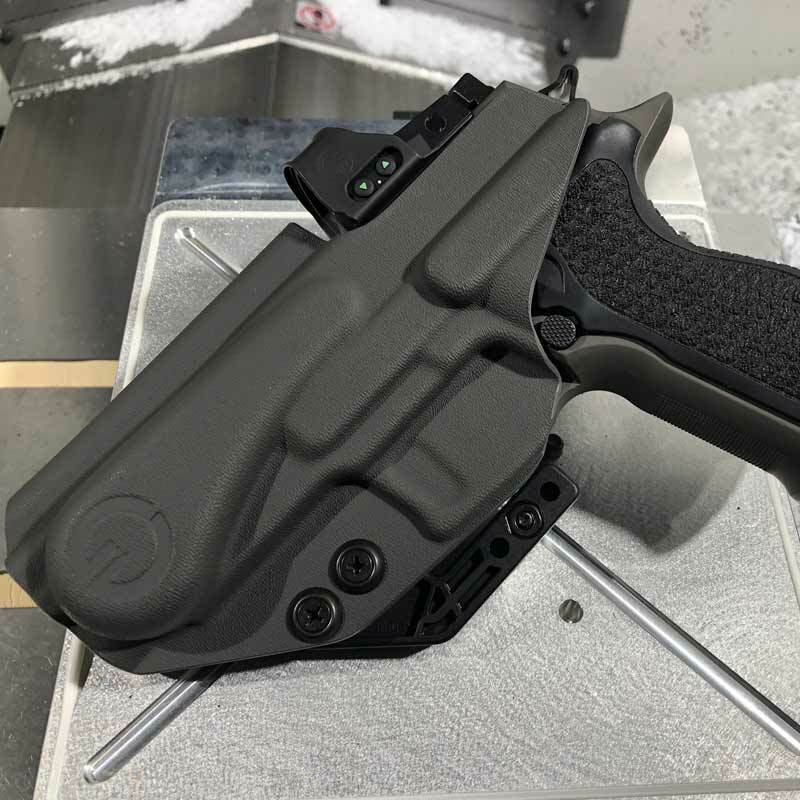 The holster is built for all versions of the 320 so for the X-Carry there is about an inch of space between the end of the barrel and end of the holster from the inside. Very well made and easy to draw from. Shipping was extremely fast and there was no issues. 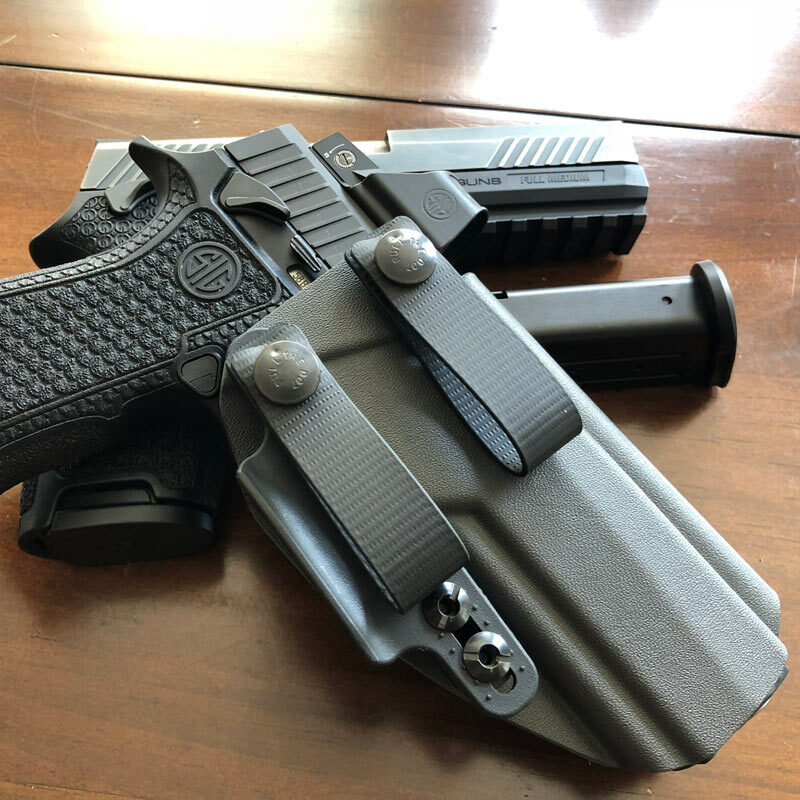 I’ve been rocking this holster for my SIG P320F for the past three months. 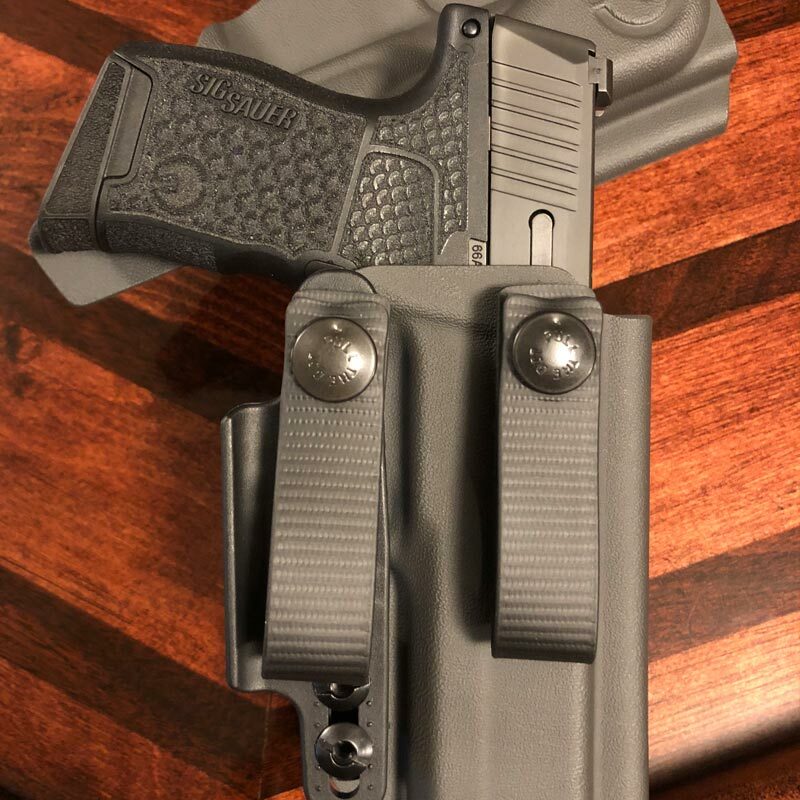 For such a large handgun, I have decided to use the holster as a conventional inside-the-waistband holster at the 4 o’clock position by adjusting the belt loops to allow for better concealability with a forward cant. 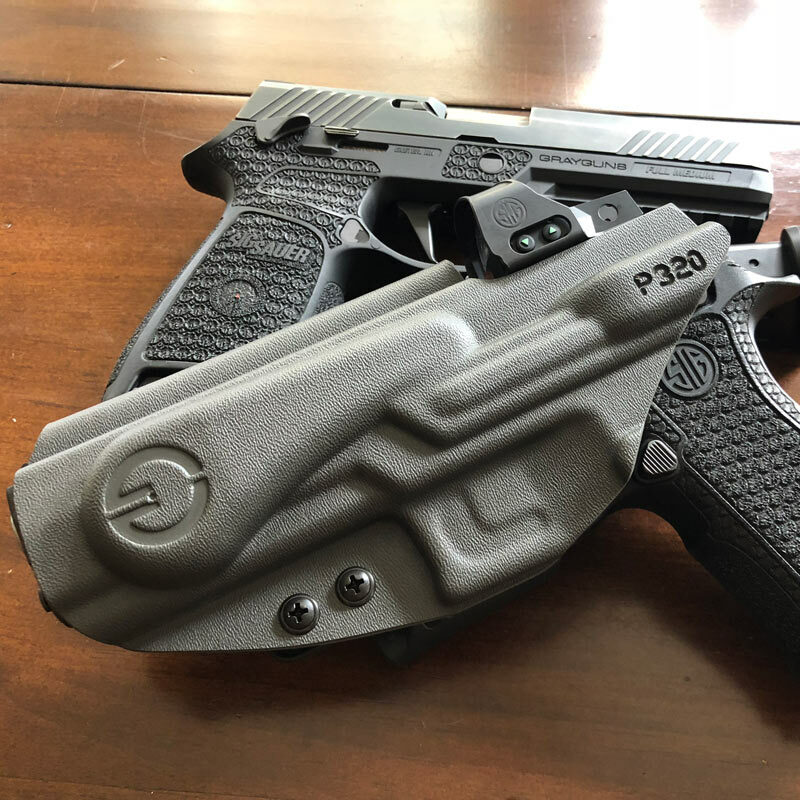 Although I initially found the teardrop wedge and TuckStrut wing uncomfortable as they applied pressure to my hip, I eventually got used to it and found both features useful in minimizing printing as they keep the frame of the P320 close to the body. I found drawing and reholstering of my P320 into this holster to be positive. I would describe the “kydex click” as being very crisp.